Look at back side, lens is very close to end of 1.25" barell, and very much. 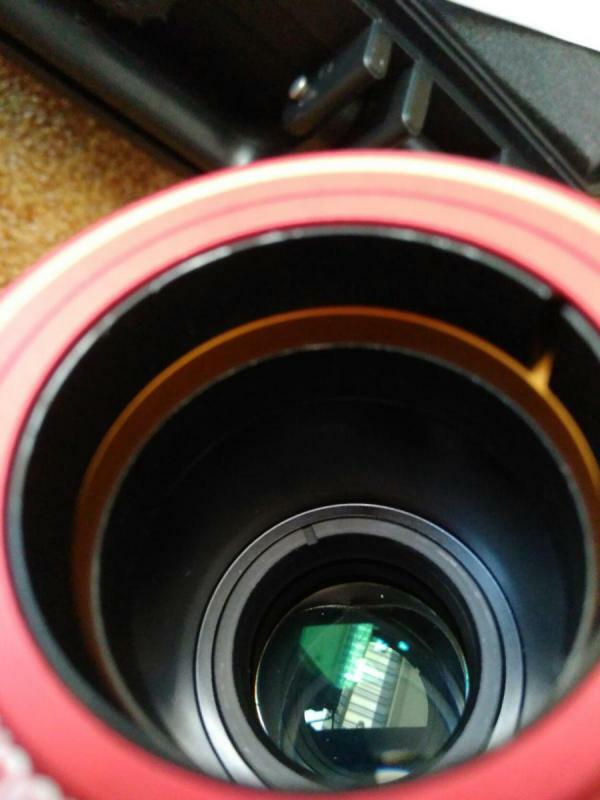 Lens is popped up, and reminds me to back lens design like have Delite 18.2mm eyepeice, and Zeiss S-PL 8x/18 and S-PL 10x/20 eypeices-very nice for my taste. Edited by denis0007dl, 12 July 2018 - 07:51 AM. 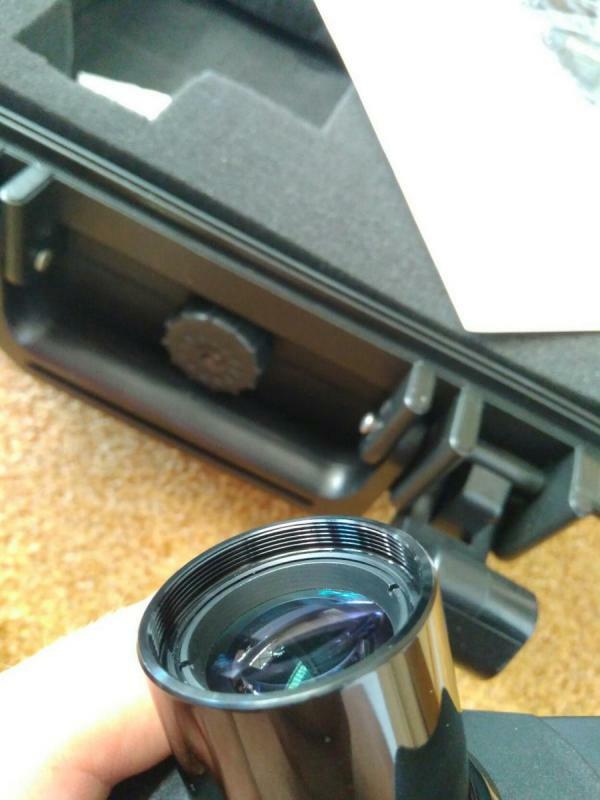 Lens on each eyepeice side seems to be same design like on back side, with some dust on each. Look from far through any eyepeice side, revails some interesting double/splitted light, of which one half side relects back ligh from other side eyepeice holder, while other half side show look through bino. Something tottaly different and unusuall for comparation vs classic binoviewer design with all prisms, or prisms/mirrors design. Very interesting play with light. Edited by denis0007dl, 12 July 2018 - 07:40 AM. Mechanicall feel is good to very good, with respectable good weight for that size of bino (I expected to be less in weight). Eyepeice holders are real self centring, and very strong-I like them very much. Adjusting diopter works very smooth, and its presented on right side only-very good option, but essentially, its not needed on any side. Adjusting IPD works smooth, and its design reminds me to Carl Zeiss angled bino IPD adjusting, but bot so precise and smooth like in Zeiss (OK, I know its not Zeiss, I just drop simmilar bino design comparation while they are only few of these design available, including old Takahashi binoviewer). Telescope connection: again annoying and LONG tapered undercut, which can cause some wobbling inside telescope adapters-not good! yes, backfocus is saved a lot, which is main atribute of that binoviewer design, and huge advantage to these who dont want use GPCs, barlows, Powermates etc to compensate back focus problem in some telescopes. Didnt measure still eaxactly how much it is saved, but its noticable vs standard binoviewers. 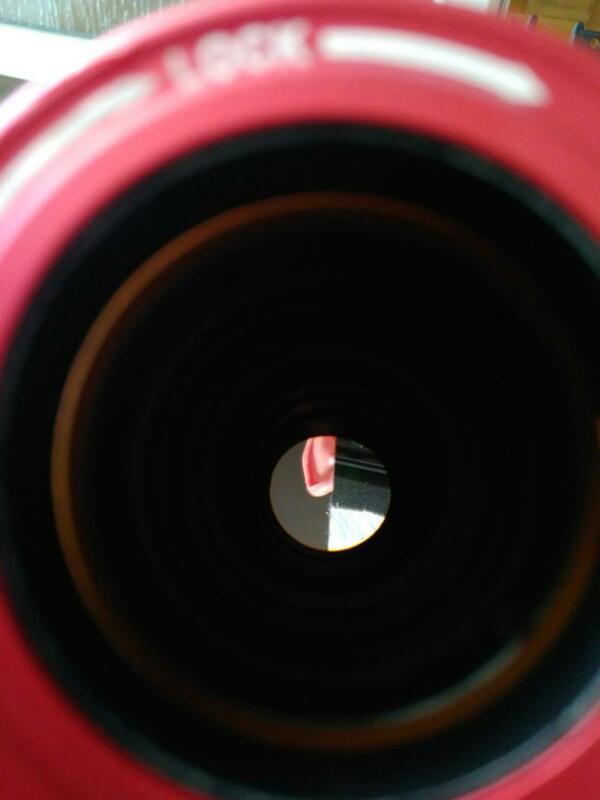 Picture is obviously out of collimation. Collimation is NOT possible by shifting prisms like in classic binoviewers, while it have very complex inner optical design. Shiting eyepeice holders is not possible, at least not in simple or easy way, judging at first look, so collimation is NOT possible neather in that way. .....but picture is bight as in common binoviewers, at quick daytime look. Have to spent more time for daytime and nighttime tests, to see how it compares in brightness, contrast, and especially in light scatter and internal reflections vs standard binoviewers....and that will lasts several days beore posting. Edited by denis0007dl, 12 July 2018 - 08:00 AM. 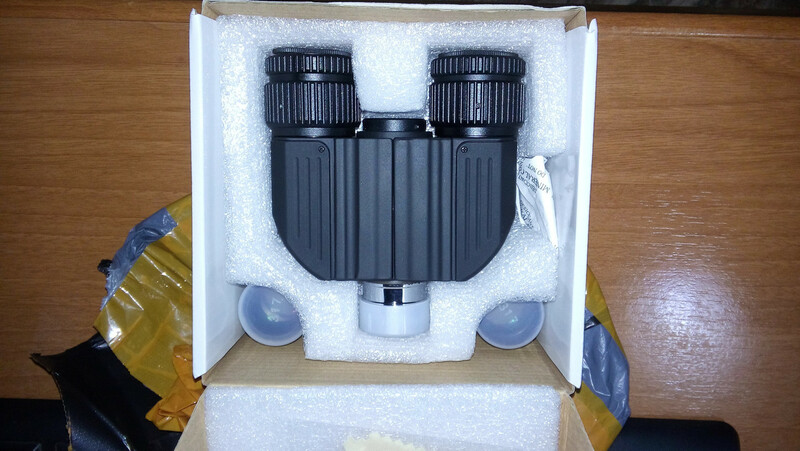 TS-Optics Binoviewer 1.0 magnification zero optical path binoviewer is tested finally under stars and Jupiter. Telescope for test was LZOS 100mm f/8, and I didnt add any prism nor diagonal, so only clean optical path between binos and objective. Eyepieces for test were new Baader Classic orthos 18mm and 6mm pairs, all borrowed. 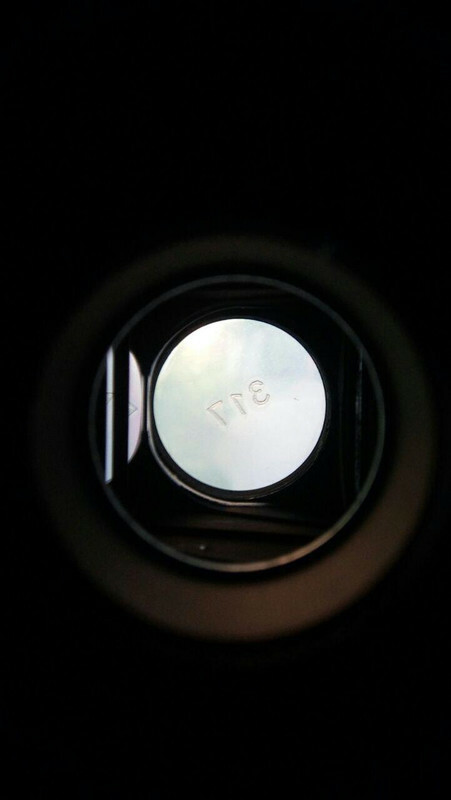 About collimation: I released right eyepeice side ring that I could shift eyepiece in it a bit to achieve desired collimation. 1. new TS zero optical path bino have MUCH dimmer right side vs left side, which is VERY pronounced. I know brain compensate that diference, but difference is so much noticable, that brain compensate that after longer period of observing (several minutes and more), with some strain I have to say. Strange, I have never such experience, even knowing many binoviewers, especially older ones, with big difference in bightness on left side vs right, where brain compensate that immediately. 2. when image is defocused on bright stars and Jupiter, star is not full circle, but actually splitted circle, and when image is more deocused on any side, distance between splitted circle is more and more bigger. Very strange, and its becasue optical system inside bino. Ok, but in focus all is fine with pict. 3. by observing Jupiter, at very first, I notice something VERY strange: on left and right side, there is some fogged like reflection, like flat galaxy or nebulae, and I dont know how to call it, and its very elongated on each side equally long, and its longer than I would say 5 or more Jupiter diameters on each side. Thats effect caused by optical system of course. When bino is rotated, this reflection rotate with it. With eyepieces rotation inside focusers, reflection stays on place. That was what I notice first, without comparing it vs other binoviewer I add to test. And then I add standard TS binoviewer. WOW, I notice immediately that picture is MUCH brighter in TS standard bino, vs new TS zero path bino. Not only that, I see MUCH more details on surface on Jupiter, and when I sayed MUCH more, I mean it like that. There is not strange reflection on each side as well. I also notice some slight colours arround Jupiter. Contrast is noticable better in TS classic binoviewer. Light scatter is MUCH lower as well in TS standard bino, and pict is TS zero path bino looks much more foggy (yes, lenses are clean on it, and dust fron lenses blowed away from it). So, I think all these parameters were enough for test and comparation, and all these "negative" results, are results from too complex design of new TS zero path bino in my opinion. 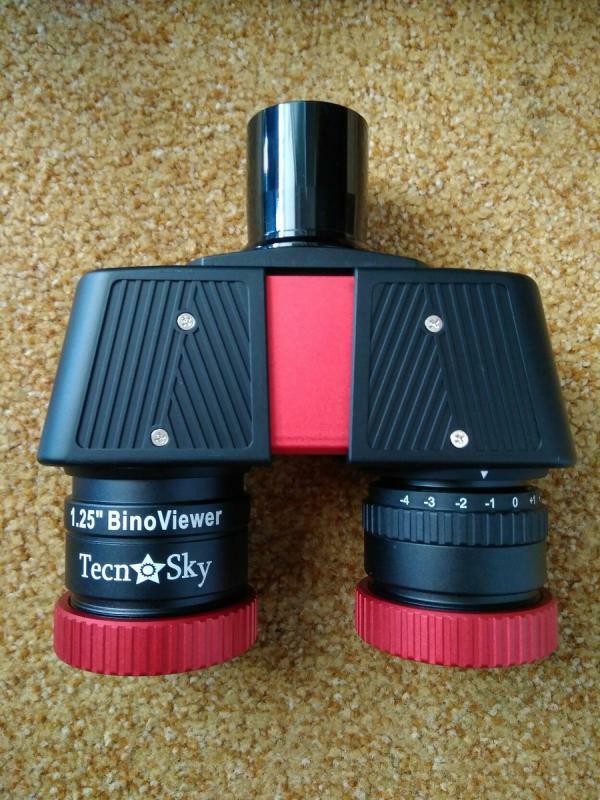 It's good that I did not have time to order this binoviewer. Actually many asked me many times if I tried/test it, so I finally did it. Thank you for doing this test. There has been a lot of curiosity about it and I have been eager to hear a good evaluation. Sounds like it is either not a great design, or has some quality assurance issues. Again, thanks for doing the review. Greatly appreciated. Sounds like the "cons" grossly outnumber the "pros"
Thanks for being the guinea pig on this Denis! Wow that review just about killed any desire I had to purchase one of these BV! Thank you dear friends, I am doing all that because of YOU mostly! Excellent overview of this strange new bino. Sad that it is such a poor performer. Thank you, but actually I expected no great results due too complex optical design, but I discovered some strange effects like never before, all because design of oftics. Only "advantage" is that bino saves light path, but for that, Harry Siebert in USA made glasspath correctors even at 0.9x, 1x etc, and with big field stops, so can be used with binos with large prisms. Thanks for the review, Denis. I almost always binoview bright planets. I hardly ever binoview deep sky. If I want to "binoview" deep sky, I use binoculars. The main advantage to binoviewers for me is that - if done right - they increase perceived sharpness and contrast in the image of the bright planets. So this new TS zero optical path binoviewer is not something I'd buy. (It's also sold through Orion.) The standard version binoviewer is more useful for my purposes. I guess I'll stick with my old Burgess for a while longer. I hope this is what you guys got previously? I am looking at: Arcturus BinoViewer. 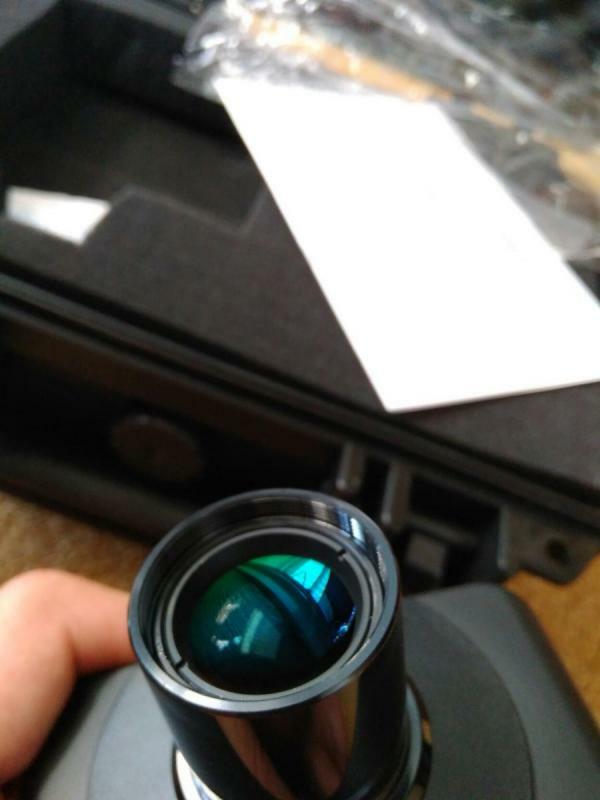 Can someone tell me what is the magnification introduced by the Bino itself, thanks! Edited by wingcat09, 22 July 2018 - 12:58 PM. I think I read here that the clear aperture is a paltry 17mm. 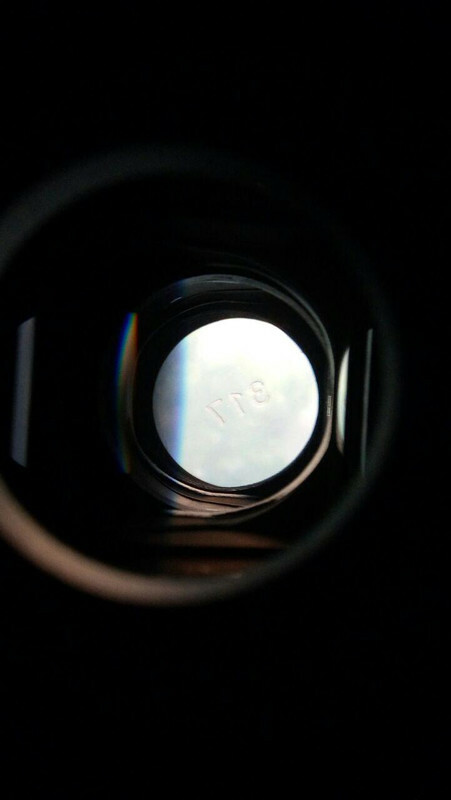 Even my old Burgess binoviewers have a 22mm clear aperture, determined by the flashlight test. 17mm Clear Aperture wouldnt bother me at all, IF optics AND mechanics are first class, but here is none of these satisfied for my taste. Loc: In the glow.....somewhere between the city and the stadiums. Maybe it was designed for terrestrial use? I now know when they arrive at my house (too late for me, I ordered them a couple of days ago) I will immediately return them without even opening the box. 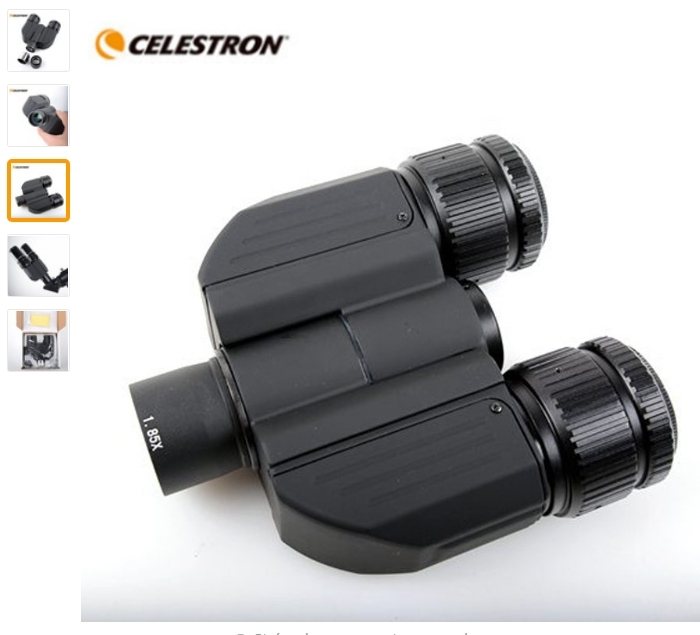 I have seen these binoviewer in aliexpres and according to it they are celestron brand. I have tried to see similar ones in their review-binoviewers, and the ones that most resemble at least externally are the arturus. I could get rid of doubts about these aliexpres that according to them are from celestron. Excuse my English but I have used the google translator and it may not be all perfect. first, thank you for your detailed review of the Linear Binoviewers. I, like a lot of people here, were waiting for some reputable review on these. I was really disappointed by the results, since I thought this would be a good price point between the lower end and the highest end with the added convenience of working right out of the box on reflectors without added correctors or barlows. That being said, do you think there might have been some quality control problem with the unit you got? From the schematics I've seen of the lightpath, nothing would warrant such a dramatic difference in illumination between both sides except for a serious misalignment. Not doubting what you reported, just wondering if this was maybe a less than stellar unit or you think this is the norm. I dont think so, I expected something to be "strange" there because design. No matter what, several days after my report, I got email from Spain, where user of same bino see same things I saw, so seems its like that. Y anoche lo estaba probando y parecía fatal con él porque parece estar fuera de balance. Entonces probablemente tengas que devolverlo. Denis viendo estas imágenes tomadas desde donde se colocan los oculares ¿puede decirme cuál es el problema? ¿Tiene una solución fácil para hacerlo yo mismo? 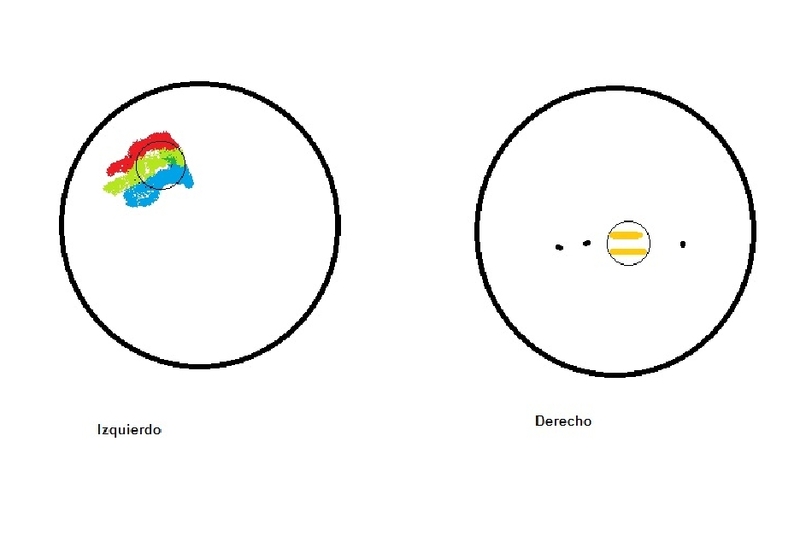 En el lado izquierdo, Júpiter se veía muy mal como algo amorfo y lleno de colores como un arcoiris y no se veía en el centro del campo del globo ocular como en el lado derecho. Edited by pastorgalactico, 23 August 2018 - 05:07 AM. Hello, can you be more precise on english? Well, it can be collimated a bit, but its very complex and tricky to do it for end users. Traducco from Spanish to English with google, but I do not know English. As you can see in the drawing of the right side jupiter looks good meanwhile on the left side it looks very bad and with many colors like when the white light breaks down with a prism. How could this be collimated?